Two of my kiddos have Easter egg hunts at school tomorrow. Each child is responsible for providing one dozen stuffed eggs. 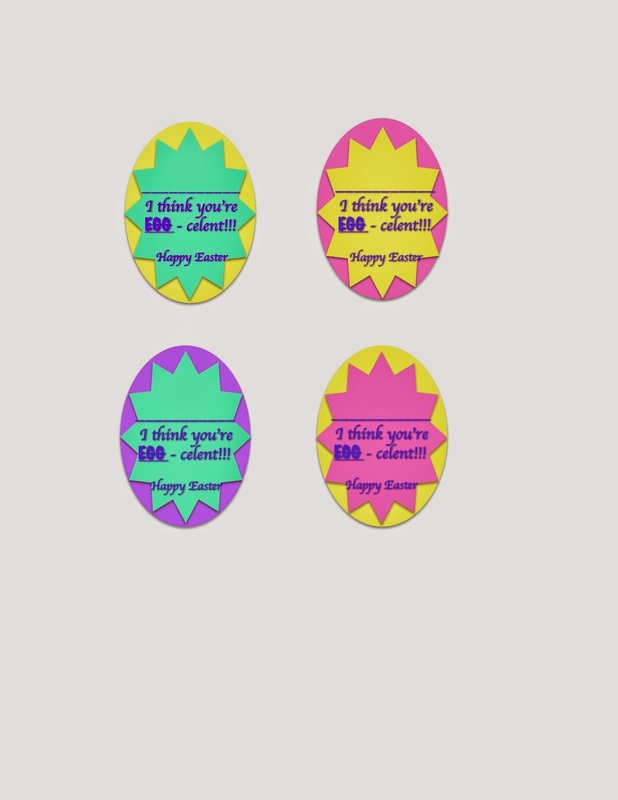 Along with the eggs, I wanted to send something small for each teacher. I didn't want anything fancy and definitely something that was easy on the budget. I found little milk cartons containing Whoppers shaped like robin eggs. I grabbed one for each teacher. They are perfect, something small and inexpensive. Just a small way to say thank you and Happy Easter. After cutting out each oval tag, I hole punched the carton and tag. Then I tied the tag to the carton with white curling ribbon. Since, I was making the printable for my kids, I thought I would pass it along to you. Feel free to print! * After clicking (click here to print...), you will be sent to a Google Doc page. It may look different. You must select "file", then select "download". The image will download to your computer (should appear normal) and then you can print from there.